Not long ago one of my clients asked me to take on the role of an interim director of field marketing. This medium-sized Internet security company enjoys a solid customer base and rich product offerings. But, with fierce competition and a lengthy sales process, it had difficulties producing well-qualified leads in a timely fashion. To meet 2007 business objectives, the marketing team would have to stretch its limits. As is common with marketing teams everywhere, the fast pace of business continues to increase, meaning that the team members are almost always busy executing. This, in and of itself, is not a bad thing. Unfortunately, with so much going on, the overall strategy behind the lead-generation activities (e.g., what is the definition of a “true” qualified lead? Who are we targeting and why? How are we nurturing these leads?) had been lost. The first project I inherited was a webinar scheduled to take place in three weeks. The team had signed a contract for turn-key webinar services from Ziff Davis. These services included everything from list management, to ensuring a minimum of 250 people registered, to hosting the actual event. While the mechanics of the actual event were well taken care of, the strategy behind the event and how to use it effectively as a lead generation vehicle was sorely lacking. Q: What activities are driving people to the webinar? 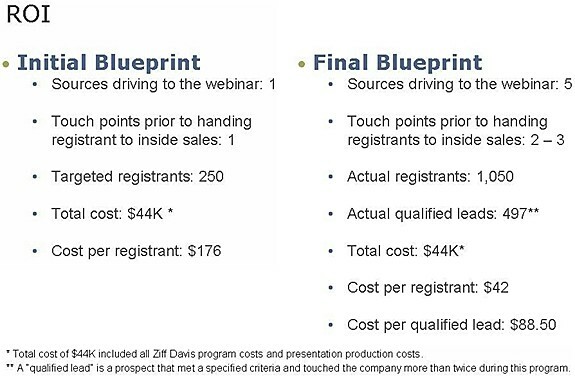 A: Ziff Davis is driving people to the webinar from their Web site. Q: What happens after the webinar? A: We’ll send all registrants, whether they attended or not, to the inside sales team for follow-up. I captured this in a quick graphic (figure 1). Although this is a good start, it is hardly sufficient for producing good-quality leads. This company had made the common mistake of creating “marketing popcorn” – the execution of stand-alone marketing activities that fail to integrate together in order to foster a meaningful dialog with the intended audience. Clearly, if left alone, the execution of this webinar in this skeletal fashion would likely result in only 250 registrants. That was guaranteed by Ziff Davis. 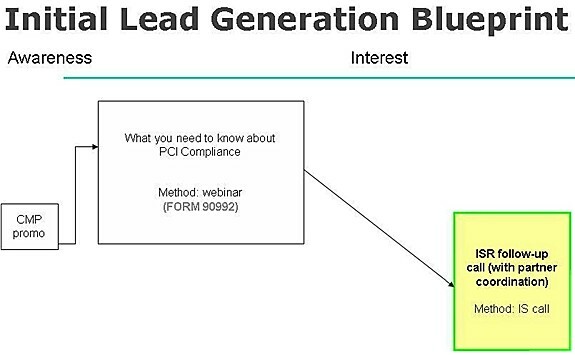 Unfortunately, the conversion rate of registrants to true leads doesn’t happen by itself. We needed a more thoughtful and more clever marketing program to make this happen. Whereas most companies shudder at the mere mention of “marketing strategy,” I took a gamble and called a marketing/sales program meeting to brainstorm on the webinar project. 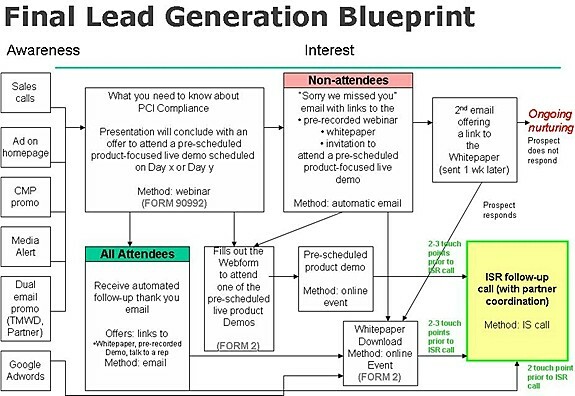 We followed the marketing blueprint technique illustrated in Marketing Campaign Development. Literally, within 30 minutes, we developed the blueprint illustrated in figure 2. Not unsurprisingly, the team knew the answers to all of these questions. They just didn’t have a framework to collect and present the answers. The blueprint model did this for us. Instead of just one Web site (Ziff Davis) promoting the webinar, we actually had six sources at our fingertips. We had multiple calls to action. We could create a “trail of breadcrumbs” for the prospect to follow. Based on their interest, they could decide which offer was most meaningful to them. We could also prepare a different dialog for prospects who attended the webinar, as opposed to those who did not. In this way, we could nurture each prospect as an individual, not a mass market. When I started whiteboarding the revised blueprint, the team was totally engaged. In fact, several members jumped up to take a marker and add to the drawing. The excitement generated from that 30-minute session was quickly translated into action. Revisions were made, new landing pages were created, and the offers were updated and put online. We also prepped the inside sales team so they knew what to expect. By using the blueprint technique to tighten up our campaign, we quadrupled the number of registrants and produced 497 well-qualified leads who met a carefully defined set of criteria and touched the company at least twice during this September program. Those leads were given top priority with the sales team and will be carefully watched and nurtured as they work through the 6-9-month sales process. As we did in this case, marketers must continually fight the temptation of executing random, disconnected lead-generation activities to prospects. Because the world does not receive messages one marketing vehicle at a time, we can only hope to achieve success if we are thoughtful and pay attention to what we are saying, and when and how we are delivering the message. Success today requires marketers to apply the discipline of campaign development in order to establish a relevant, timely dialog with the target audience. 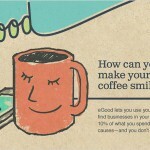 This is the key to higher conversion rates and even higher customer loyalty. This article was originally written by Mike Gospe and posted on MarketingProfs, which can be found here. Ari Meisel is a real estate entrepreneur, triathlete, and optimization expert. Through a combination of yoga, nutrition, and natural supplements Ari cured himself of Crohn's disease. Now he focuses on helping people become more effective at everything through his Achievement Architecture program.